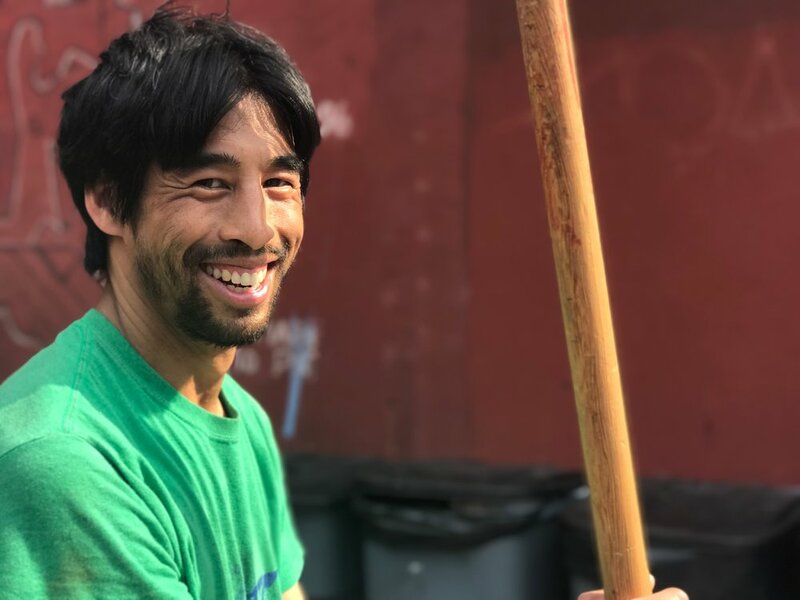 Andrew Suseno DPT, COMPT, CLMA, and Feldenkrais Practitioner (2018) fosters community and wellness. Since receiving his degree in 2011 from NYU, Andrew has dedicated himself to the dual study of Orthopedic Manual Therapy through the North American Institute of Orthopedic Manual Therapy and neurological approaches through his neurological and pediatric PT practice and extensive somatic work. Andrew is passionate about exploring movement, meaning making, and community. He received his BA in Dance from Wesleyan University, Certificate in Laban Movement Analysis from the University of Utah and will complete his certificate in Feldenkrais in 2018. He danced professionally in New York, Baltimore and Germany through work often exploring issues of identity using a somatic approach (mind/body). Andrew develops and teaches Parcon through the Parcon Resilience curriculum locally and abroad. Colleen Roche is a certified information and referral specialist and currently serves as a health and wellness consultant to the New Jersey Division of Disability Services. She received a BS in Biology and a BA in Spanish Literature from St. Peter's College. Certified by the New Jersey Victim Assistance Academy, Colleen has developed and regularly delivers trainings and presentations to individuals with disabilities, healthcare providers and other allied professionals on a variety of topics including, violence and abuse, emergency preparedness and health and wellness. She is a disability activist who sits on several boards serving in varying capacities, including Board Chair for the Alliance Center for Independence, Secretary for the NJ Statewide Independent Living Council and Vice Chair of the NJ Personal Assistance Services Advisory Council. Colleen joined ZCO Dance Project, a New York based integrated dance company in 2014, practices both Contact Improvisation and Parcon, an emerging movement form. In 2017, she began co-teaching a Parcon mixed abilities class with people with disabilities under the direction of the form's founder, Andrew Suseno. Cecilia Fontanesi is a dance artist who teaches Contact Improvisation (CI) at Bill Young Dance Studio. She has been practicing CI, modern and aerial dance for over 20 years, both in Europe and USA. She is a graduate of the Laban/Bartenieff Institute of Movement Studies (LIMS®, NY) and holds a MPhil in Neuroscience from CUNY, The Graduate Center. Cecilia taught movement analysis at Sarah Lawrence College and was a guest lecturer at Barnard College. 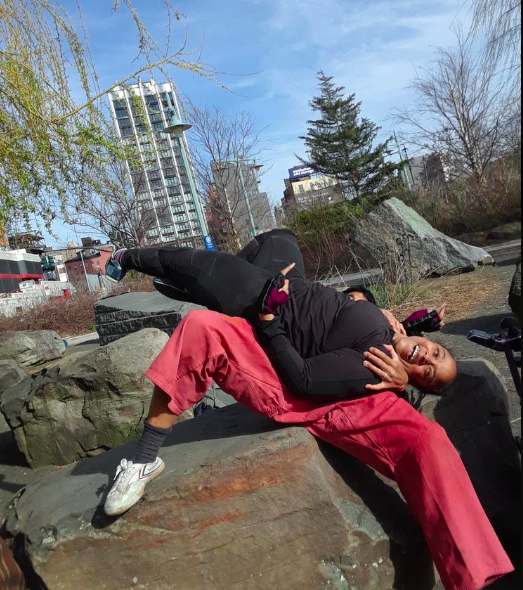 In 2016, she co-founded Parcon NYC, an inclusive, cooperative, site specific movement practice that challenges conformity to pedestrian movement and is inspired by both Parkour and Contact Improvisation. Since 2017, she is serving as Artistic Associate for IDACO (Italian Dance COnnection), a dance festival promoting cultural exchange between dance artists living in New York and in Italy. Kimberly Tate is an artist, architectural designer, urban experimental dancer and educator at Parsons School of Design and the AIANY Center for Architecture. Builder of site-specific experimental dance labyrinths, D A N C I T E C T U R E, she invites movers of all forms to repattern their embodied knowledge of space.